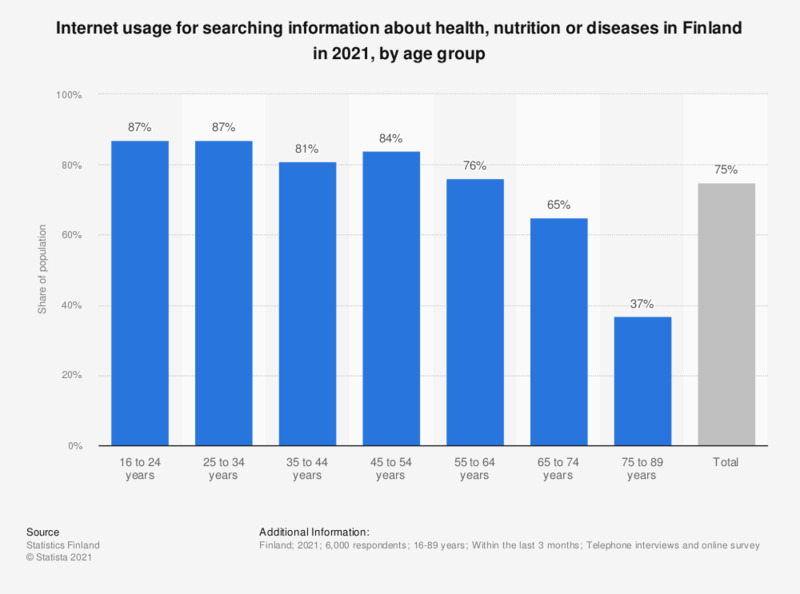 This statistic shows the share of persons using the internet for searching for information on health, diseases or nutrition in Finland in 2018, broken down by age group. During the survey period, 79 percent of persons from 25 to 34 years of age used the internet for searching for information on health, diseases or nutrition. What do you think about the direct access to medical information?